Daniel Radcliffe as the next Wolverine? It’s an idea that’s been floated online and now, we know what that could look like. Hugh Jackman decided to hang up the claws for good and, despite desire from fans to see him return, it’s a decision that the beloved Aussie actor is sticking to. So, once the X-Men franchise is in control at Marvel Studios following the Disney merger with Fox, they’re going to need a new Wolverine. And the former Harry Potter actor has emerged as a fan-casting favorite discussed on the internet as of late. Recently, Daniel Radcliffe did a Wired Autocomplete Interview and, at one point, it came up that people are asking if he’s going to be the new Wolverine. He joked about it, but took to the suggestion well enough, even though he dismissed it as a real possibility, citing his much smaller size, when compared to Hugh Jackman, as an issue. 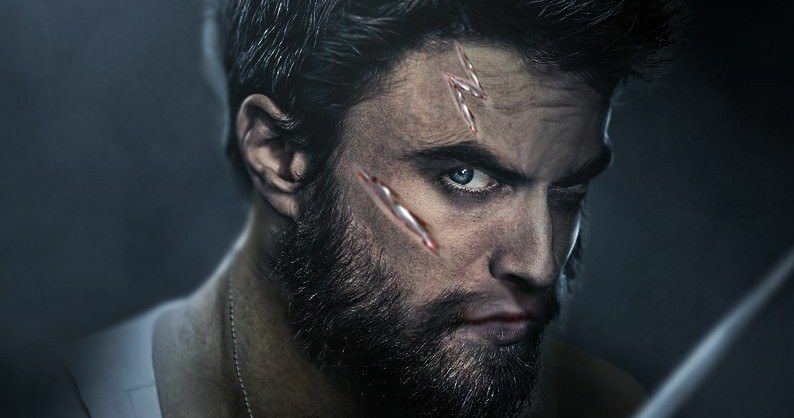 In any event, artist BossLogic, who regularly imagines such fan castings with his art, has revealed his take on Radcliffe as Wolverine, after quite a few of his followers suggested it. The actor is imagined with short, scruffy hair, a thick beard, scars on his angry face, white tank top and claws out. It’s a convincing look. While Daniel Radcliffe is and always will be best known for his work in the Harry Potter movies, he’s since gone on to star in a wide range of movies, mostly indies, that have showcased his talent beyond the world of wizardry. Plus, he’s proved that he can carry the weight of a franchise on his shoulders, which would be key for anyone taking up the mantle of Wolverine. Especially following someone as beloved as Hugh Jackman. Marvel Studios President Kevin Feige will ultimately be the one in control of deciding who gets to dawn the claws in the Marvel Cinematic Universe, as Disney’s merger with Fox is set to be complete by June. For the time being, there are no actual names put forth in regard to who may be on their list, but by all indications, the folding of the X-Men into the MCU is in its earliest stages. It could be a while before we actually hear who the actor is. Related: Does Hugh Jackman Have a Secret Avengers: Endgame Cameo? Whoever they are, Hugh Jackman is going to be a tough act to follow. He played the role for the better part of two decades, concluding with Logan which, by many accounts, is one of the best comic book movies ever made. It’s going to be very difficult, if not impossible, for many to separate Wolverine from Jackman. Can Daniel Radcliffe handle that sort of pressure? And, more importantly, would he look good in the classic yellow suit? Be sure to check out Radcliffe as Wolverine from BossLogic’s Twitter account below.